> BEHOLD: The cover art for THE 12 BURNING WHEELS by Cesar Torres! 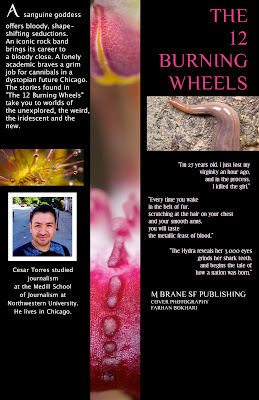 BEHOLD: The cover art for THE 12 BURNING WHEELS by Cesar Torres! 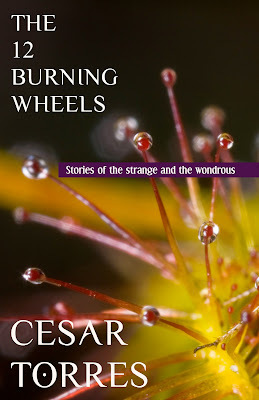 Any time now, possibly yet today, but maybe tomorrow, I will have the deep pleasure of announcing a pre-order special for Cesar Torres' stunning collection The 12 Burning Wheels. But right now, you can take a look at the beautiful cover images. This book will be offered in print and electronically.